Lot 554. 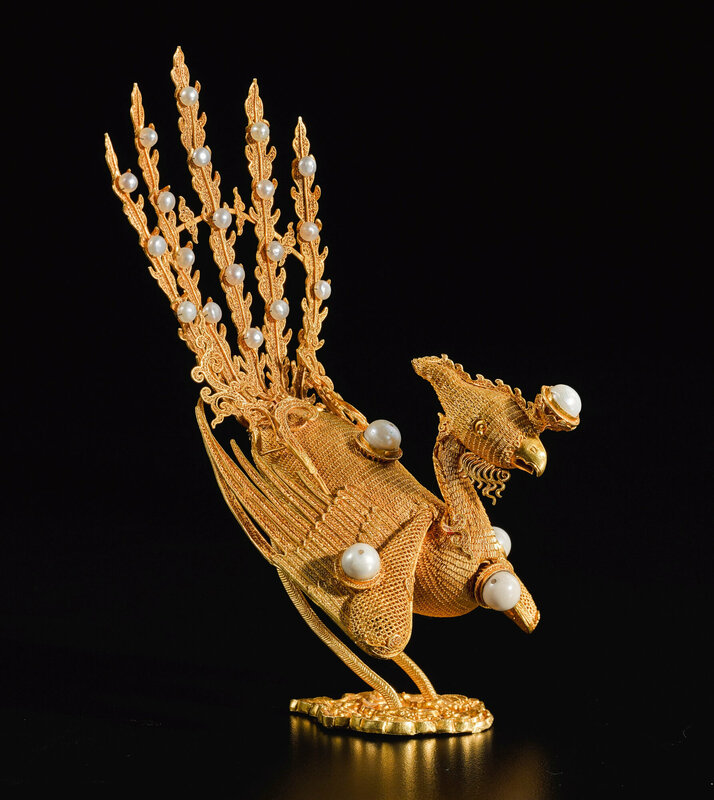 A gold filigree 'Phoenix' ornament for an imperial concubine summer court hat, Qing dynasty, 18th century. Height 5 1/2 in., 14 cm. Estimate $30,000 — 50,000. 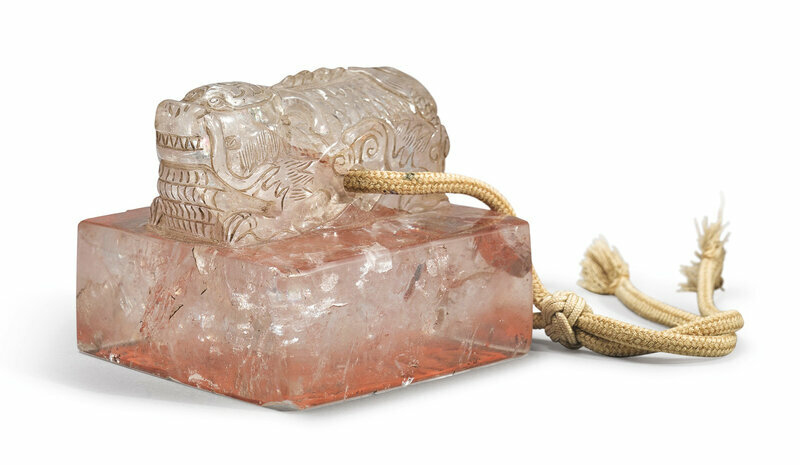 Sold for $112,500. Courtesy Sotheby’s. 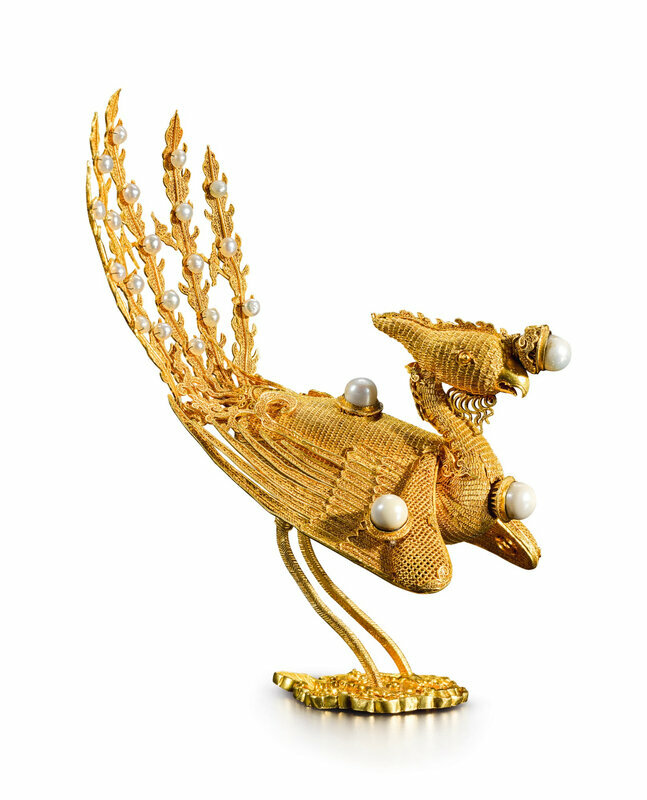 the resplendent bird formed of intricately worked bright gold wire, with the wings spreading slightly and the long flaring tail upswept giving the impression of a phoenix in flight, scrolls of qi emanating from the neck and sides, medium-size pearls inset at the chest, wings, crest, and back, and smaller pearls attached to the flame-like tail feathers, the base pierced for attachment to a hat, with later-added legs and mounting. Provenance: Collection of Joseph (1919-2008) and Ruth Sataloff. Gifted to the Portland Museum of Art, Maine, in 1994 (acc. no. 1994.39.1). 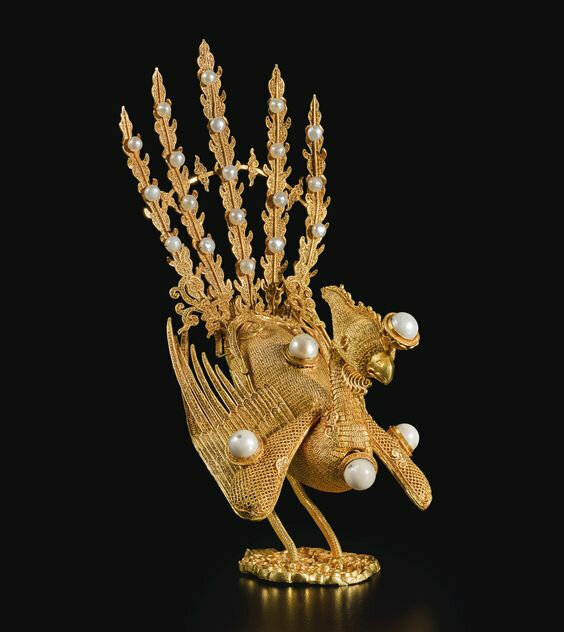 Summer court hat for imperial concubines, qing dynasty (1644-1911).